Bicornuate uterus is a condition characterized by uterus that has two joint cavities instead of one. Otherwise, known as heart-shaped uterus, the condition is type of congenital uterine malformation that may impact reproductive capabilities of women. A bicornuate uterus results from improperly formed uterus during early prenatal development of a woman. The condition occurs when two horns form at the upper part of the uterus due to altered fusion process of the Mullerian ducts, giving the uterus shape of the heart. Bicornuate uterus can come in different degrees. Severity may range from partial bicornuate characterized by only part of the upper portion of uterus that dips into the chamber to complete bicornuate when two separate chambers are formed. Bicornuate uterus can cause difficulty conceiving and high-risk pregnancies. It is associated with recurrent pregnancy loss, preterm delivery and breech presentation. Abnormal presentation occurs because the baby doesn’t have enough room to turn in head-down position. Additionally, bicornuate uterus can result in fetal growth retardation and other birth defects as well as retained or trapped placenta. Most commonly, bicornuate uterus is diagnosed in the first ultrasound during pregnancy. Bicornuate can be diagnosed using an MRI as well. This condition is seen in about 0.1-0.5% women in the United States. Women with bicornuate uterus may experience several symptoms. 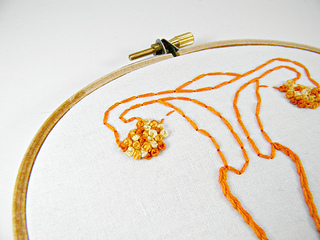 They include heavy or irregular menstruations, pain in the abdomen and painful ovulation. Infertility is not necessarily caused by bicornuate uterus. One the other hand, the condition affects the ability of a woman to conceive but, if she does, the pregnancy will be termed high-risk. Most often, bicornuate uterus leads to sponataneous abortion in the first three months of a pregnancy (63%) and preterm delivery (15-25%). Bicornuate uterus can also cause many disorders of the urinary tract such as exstrophy, congenital defect featured by inversion of a hollow organ. Renal and cloacal abnormalities can also result from bicornuate uterus. Bicornuate uterus is most commonly treated surgically using reconstructive surgery of the uteri. The condition is treated with the technique called metroplasty. Metroplasty is performed with transverse incision made into the separate cavity of the uterus. Afterwards, reconstruction of a vertical incision is done using the layered closure. This closure is similar to those performed during cesarean section. Cervical cerclage can be used for treatment of bicornuate uterus to reduce the risk of premature delivery. will my baby grow well?